What Size Heater Do I Need for My Fish Tank? 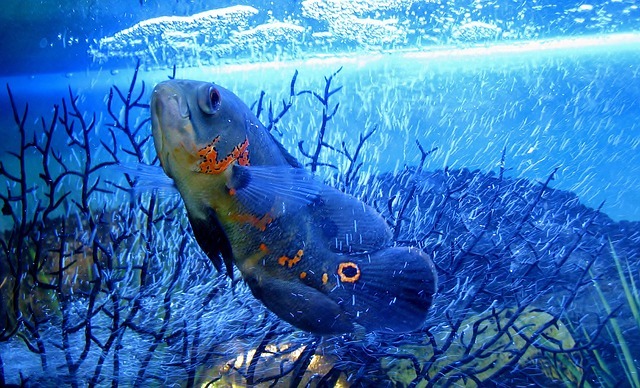 In order to select the right size heater for your fish tank, you need to know how many gallons of water your tank holds. Once you know how many gallons your aquarium holds, then a good rule of thumb to follow is that your aquarium heater will need to output at least 3 to 5 watts of power for every gallon of water. If you want a more precise answer you can use the aquarium heater size calculator located above. 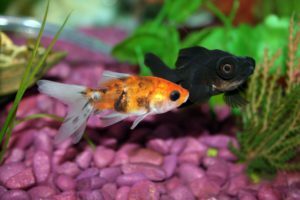 The fish tank heater size calculator on this page takes into account the difference between the ambient room temperature and the fish tanks water temperature. During the winter months, there can be a considerable temperature difference between your fish tank and the room it is placed in. If you don’t size your heater appropriately it might not be able to keep the tank at the proper temperature throughout the year. To be on the safe side enter the lowest temperature that the room your fish tank is located in will reach at its coldest into the aquarium heater size calculator. The calculator will recommend the optimal heater wattage based on your inputs, this will ensure that your fish tank stays at the right temperature over the winter. What Temperature Should a Fish Tank Be? 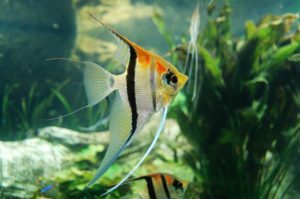 There are a number of factors that go into deciding the temperature of a fish tank. First, is the type of fish you plan on keeping. 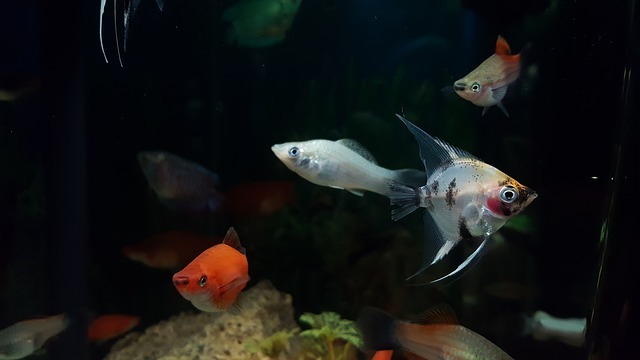 If you plan on keeping tropical fish, then you will need to keep the temperature of the tank much warmer than you would if you only were to keep cold water species. Also if you are running a saltwater tank you will need to consider the temperature requirements of not only the fish but the corals as well. 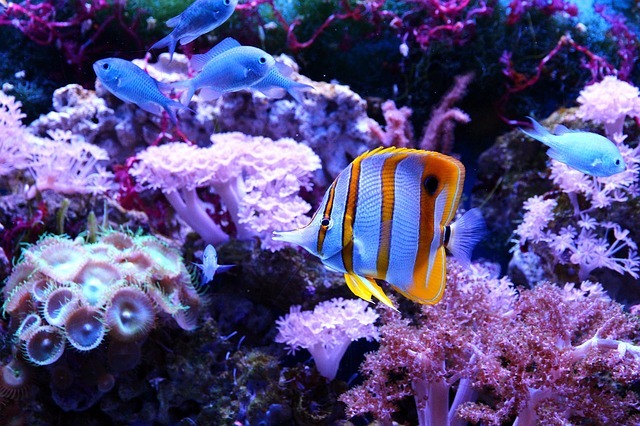 If you do plan on keeping a reef tank the temperature tolerances of each species can be quite different. 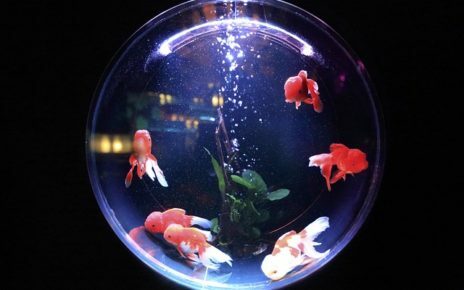 The following sections will go over each type of aquarium set up in more detail. 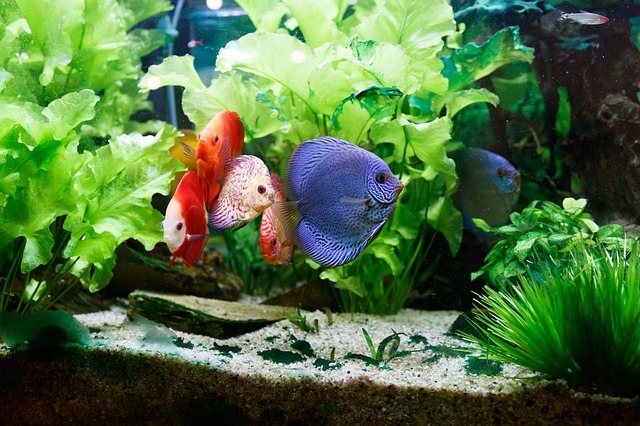 The ideal temperature for tropical fish in a freshwater aquarium ranges from 72 to 85 degrees Fahrenheit. For the most part, keeping your fish tank at 78 degrees Fahrenheit will be sufficient for most tropical species. 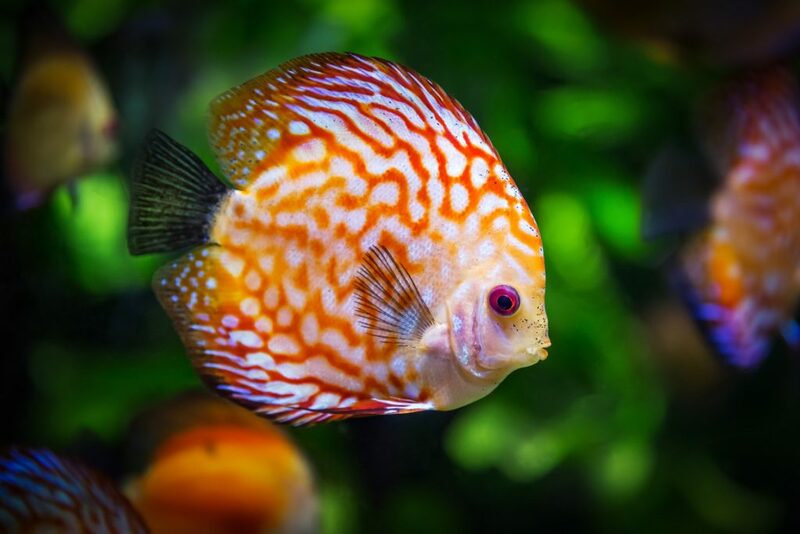 Some tropical fish might prefer warmer waters for breeding, so if you do plan on breeding your fish then you might want to increase your aquariums temperature to at least 80 degrees Fahrenheit. Freshwater species like goldfish and guppies are more tolerant of cold water. These cool water fish can handle temperatures that range from 65 to 80 degrees Fahrenheit. In most cases, cool water fish will not breed or eat much at cooler temperatures, but they will not die or suffer like tropical species. These types of fish are great if you want to save energy over the winter. You might even be able to keep them without running a heater, as long as the room the tank is in stays above 65 degrees Fahrenheit. A planted aquarium, for the most part, will need to be kept at 72 to 84 degrees Fahrenheit. This is mainly due to the fact that most of the popular aquatic plant species like Java Fern and Anubias are tropical in origin. Otherwise, if you want to keep a cool water aquarium, then you will need to keep plants like Hornwort that can tolerate cooler water conditions. 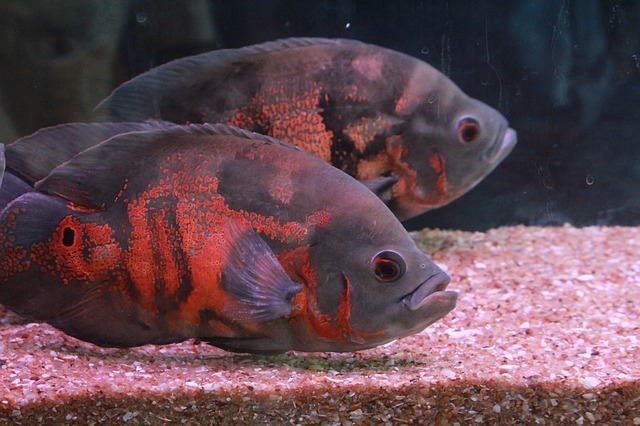 The ideal temperature for tropical fish in a saltwater aquarium ranges from 72 to 78 degrees Fahrenheit. 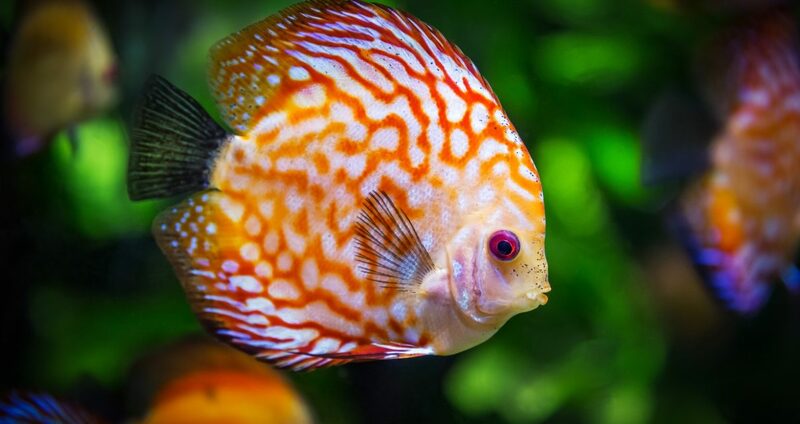 In most cases, a temperature of 75 degrees Fahrenheit will be optimal for most saltwater fish. 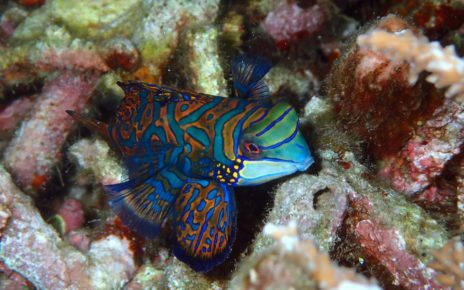 While there are some cool water species of saltwater fish they are not that popular in the fish keeping hobby. 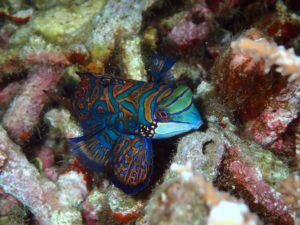 If you do plan on keeping fish that can tolerate cooler waters just keep in mind that the lower temperature will limit your ability to keep corals and other invertebrate species. Most species of coral need to be kept in water that ranges from 72 to 78 degrees Fahrenheit. The nice thing about this temperature range is that it is the optimal temperature for both tropical saltwater fish and coral. The only real thing to be aware of in a reef tank is that corals are much more sensitive to high temperatures. If the temperature in your tank rises into the mid to high eighties then your coral will start to bleach and die back. Also if the temperature in your tank is unstable then the coral might become stressed, which can also lead to bleaching. Overall the temperature requirements of coral might be the same as most saltwater fish, but in order to keep them healthy, they need to be kept in a more stable environment. A small 10 gallon fish tank will need a 30-watt heater if the temperature difference between the fish tank and the room is around 5 degrees Fahrenheit. If the temperature difference is about 10 degrees then a 50-watt heater is a better option. Otherwise, if your room is 15 degrees cooler than your tank, then you will need an 80-watt heater. A standard 20 gallon fish tank will need a 60-watt heater at a minimum. A 60-watt heater will only be powerful enough if the fish tank needs to be heated 5 degrees above ambient room temperature. If you want to keep a 20 gallon tank 10 degrees warmer than room temperature, then you will need a 100-watt heater. If there is a large 15-degree difference between the tank and the room, then a 160-watt heater will be required. 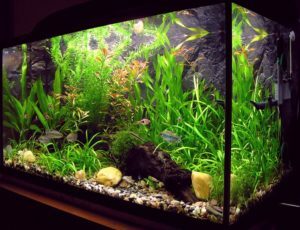 A 40 gallon fish tank will need at least a 120-watt heater if the room it is kept in is 5 degrees cooler than your aquarium. If the room is 10 degrees cooler then a 40 gallon tank will need a 200-watt heater. If the room is more than 15 degrees cooler than the temperature of your aquarium then a 320-watt heater will be in order. A standard 55 gallon aquarium will require a 165-watt heater at a minimum. A heater this size will be sufficient if the difference between the aquariums temperature and the ambient room temperature is around 5 degrees Fahrenheit. To be on the safe side a 275-watt heater would be a better option since it can handle up to a 10-degree temperature difference. Otherwise, if you live in a cold climate 440 watts of heating power will handle up to a 15-degree temperature difference. A 60 gallon fish tank will need a 180-watt heater if the room it is kept in is only 5 degrees cooler than the tanks water. If the room is 10 degrees cooler than the fish tank then a 300-watt heater will be required. If you plan on keeping a 60 gallon tank in a relatively cool room, then a 480-watt heater will be enough to handle a 15-degree temperature difference. A standard 75 gallon aquarium will need a 225-watt heater at a minimum. 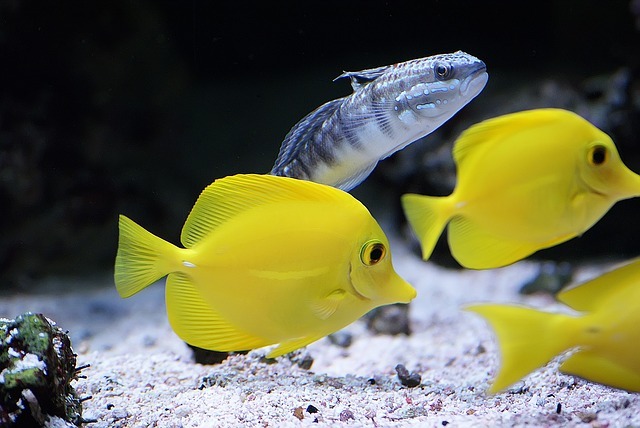 A 225-watt heater will be strong enough to keep a 75 gallon aquarium 5 degrees warmer than room temperature. Otherwise, if you need to keep a 75 gallon tank 10 degrees above room temperature you will need a 375-watt heater. If you need to keep a 75 gallon tank more than 15 degrees warmer than room temperature then you will need to use multiple heaters that add up to 600 watts of power. 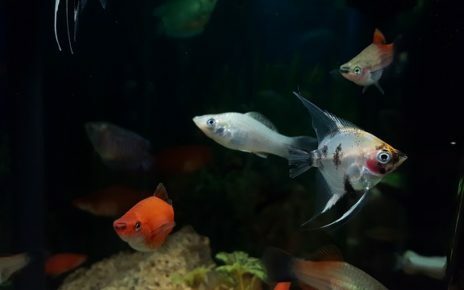 A 90 gallon aquarium will need a 275-watt heater in order to increase the temperature of the water to at least 5 degrees above room temperature. If you need to keep a 90 gallon aquarium 10 degrees above room temperature then you will need to use 450 watts of heating power. 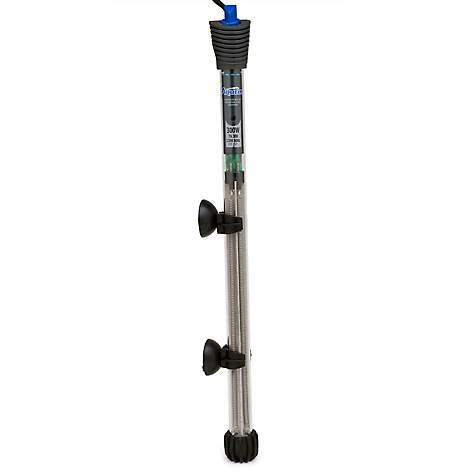 Moreover, if you need to increase a 90 gallon aquariums water temperature by more than 15 degrees you will need to use multiple heaters that add up to 720 watts of power. A standard 125 gallon aquarium will need a 375-watt heater at a minimum. A 375-watt heater will be just enough to increase a 125 gallon aquariums temperature by 5 degrees Fahrenheit. If you need to increase a 125 gallon aquariums temperature by 10 degrees Fahrenheit you will need to add multiple heaters that add up to 625 watts of heating power. Otherwise, if you need to increase a 125 gallon aquariums temperature by 15 degrees a total of 1000 watts of power will be needed. A large 150 gallon aquarium will need to use multiple heaters in order to properly warm the water. If you only need to increase the temperature of your 150 gallon aquarium by 5 degrees then a total of 450 watts will be needed. If your 150 gallon fish tank is in a cooler room then 750 watts will be needed in order to raise the water temperature to 10 degrees above ambient room temperature. Otherwise, if you need to increase your 150 gallon aquariums temperature by 15 degrees or more you will need 1200 watts of total power. 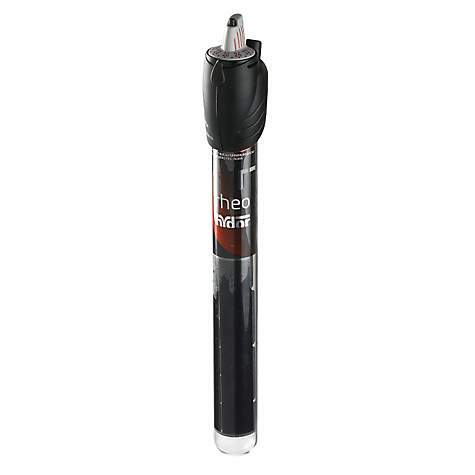 The Hydor THEO 25w (Buy Online) is the perfect heater for a small 5 gallon fish tank. This heater has an output of twenty-five watts, which means it is capable of heating a 5 gallon fish tank to 10 degrees above ambient room temperature. This heater is also fully adjustable, so you can keep both tropical and cool water species at a comfortable temperature. 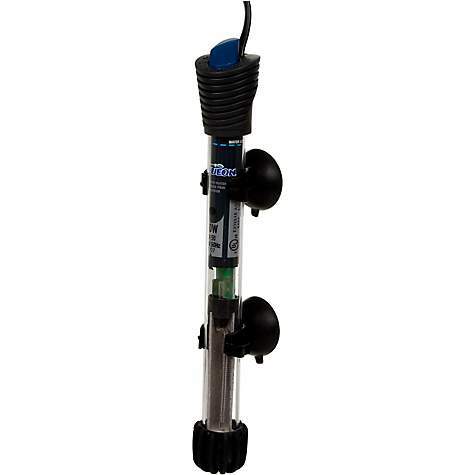 The Aqueon Pro 50 Submersible Aquarium Heater (Buy Online) has more than enough power to heat a 10 gallon aquarium. This heater is rated at 50 watts, so it will easily be able to raise a 10 gallon fish tanks temperature by 10 degrees Fahrenheit. This heater is also fully adjustable, and it has an LED status light so you will always know if the heater is properly functioning. 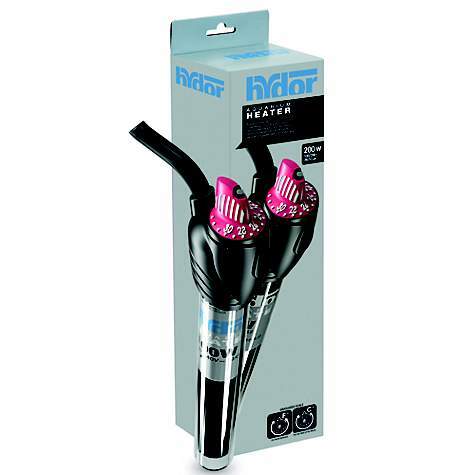 The Hydor THEO 300W (Buy Online) is a powerful and reliable heater well suited for use in a 55 gallon aquarium. 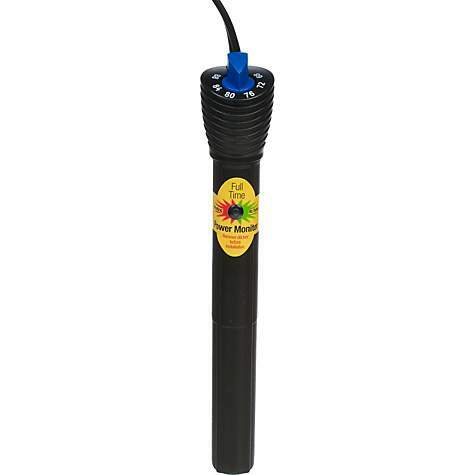 This heater is rated at 300 watts of power, which means if it is used in a 55 gallon aquarium it has a higher output than the recommended 5 watts of power per gallon. This extra margin means this heater will need to run for less time to reach the set temperature, and it will also help keep the tank warm throughout the winter. 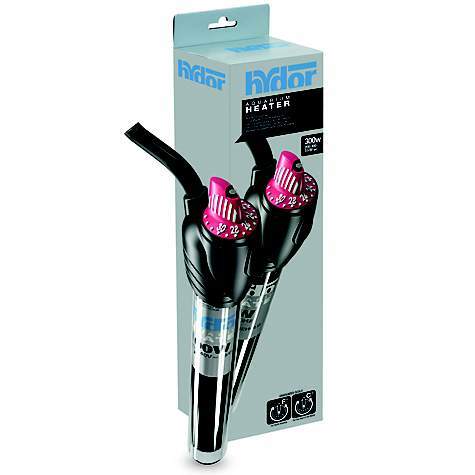 The Hydor THEO 400W (Buy Online) is one of the highest power hobbyist grade aquarium heaters on the market. This heater has a rated output of 400 watts of power, which means if you place it in a 125 gallon tank it will output 3.2 watts for every gallon of water. If you only need to increase the temperature of your 125 gallon aquarium by 5 degrees then 3 watts per gallon will be sufficient. 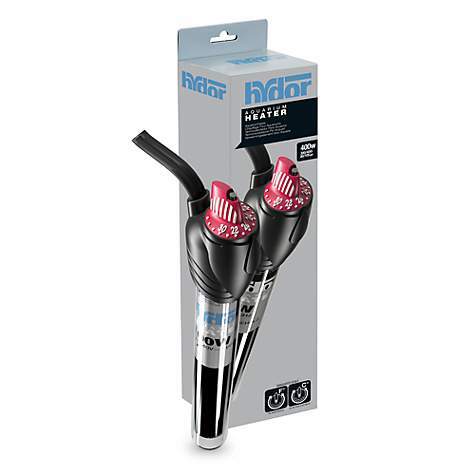 If you need to increase the temperature even further you might want to add another 200-watt heater to make up the difference.